Share the love with the inspirational Jesus Loves Me shaped stickers. Includes 72 stickers total, 6 sheets with 12 stickers each. 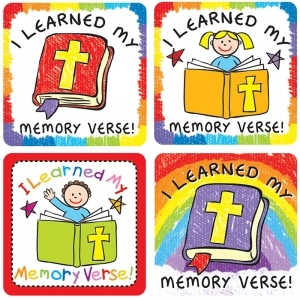 Stickers are perfect in the Sunday school room or at home, to reward students. 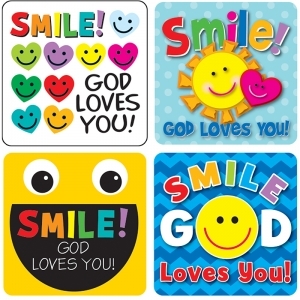 They provide positive, inspirational reminders that are sure to brighten any students' day. 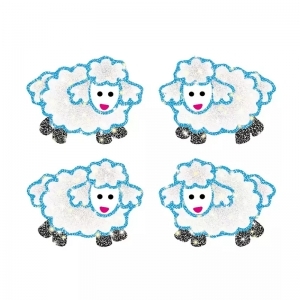 Ideal for prize boxes and craft projects, stickers and are an essential addition to any teacher's desk or treasure chest! 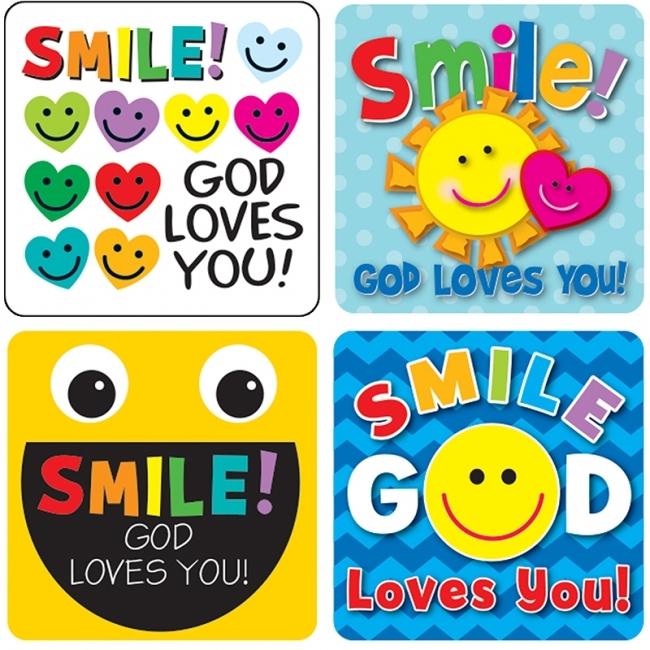 Brigthen any student's day with the inspirational Smile, God Loves You! stickers. 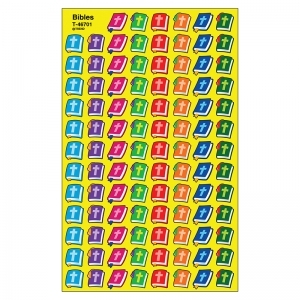 Includes 120 stickers total, 6 sheets with 20 stickers each. 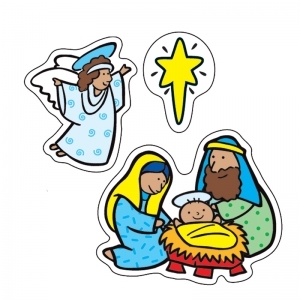 Stickers are perfect in the Sunday school room or at home, to reward students. They provide positive, inspirational reminders that are sure to brighten any students' day. 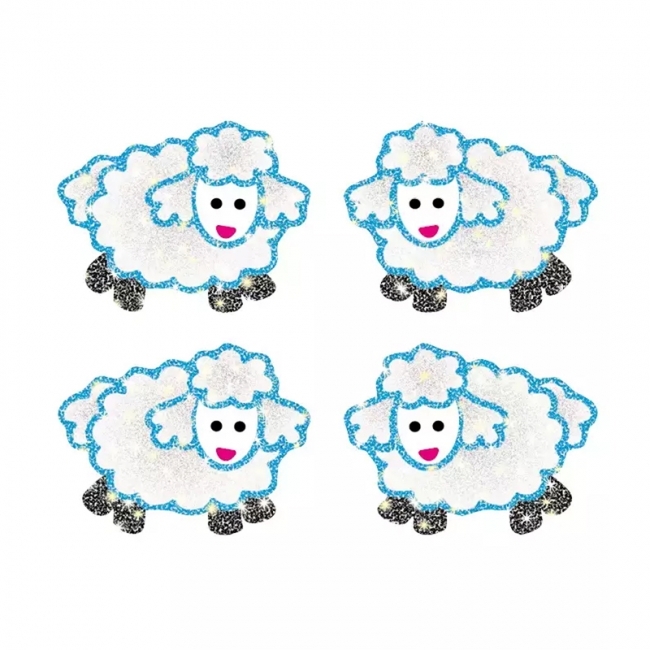 Ideal for prize boxes and craft projects, stickers and are an essential addition to any teacher's desk or treasure chest! 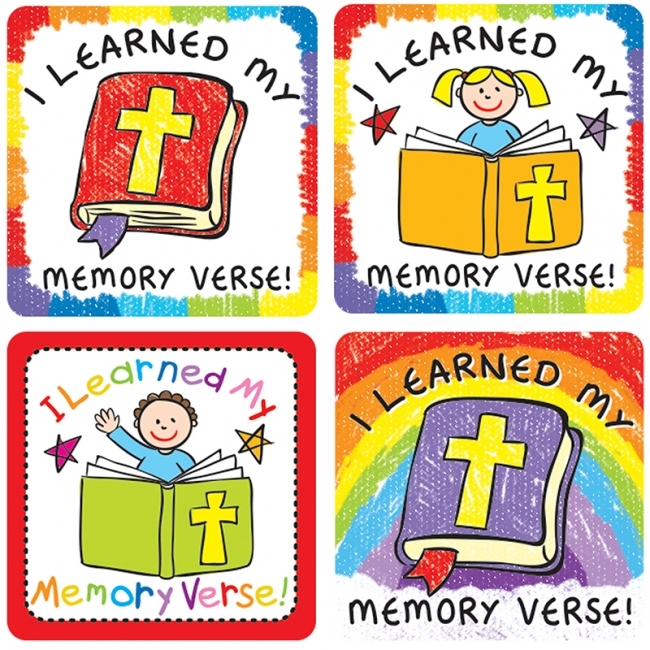 Motivate and reward students with I Learned My Memory Verse stickers. 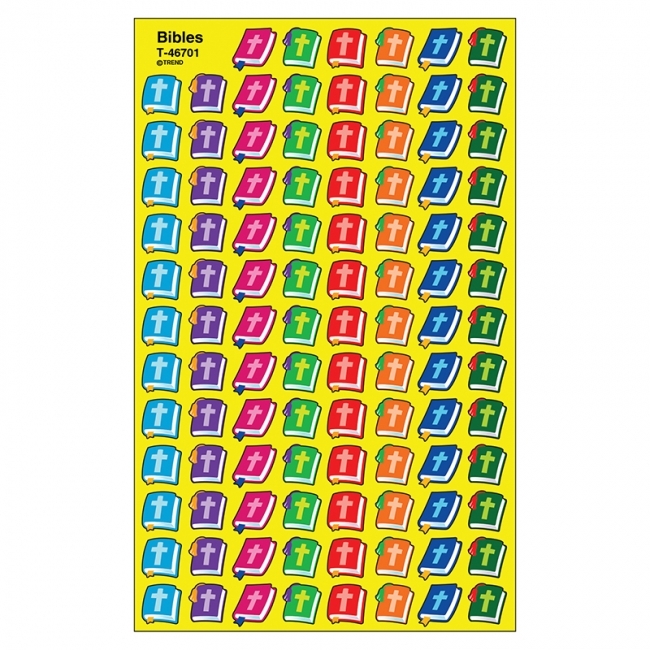 Includes 120 stickers total, 6 sheets with 20 stickers each. Stickers are perfect in the Sunday school room or at home, to reward students. They provide positive, inspirational reminders that are sure to brighten any students' day. Ideal for prize boxes and craft projects, stickers and are an essential addition to any teacher's desk or treasure chest! 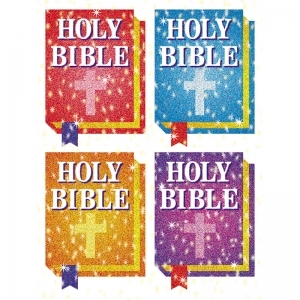 Perfect for reward or recognition, these acid-free and lignin-free Dazzle™ stickers come 120 per pack and are on perforated sheets for easy distribution! 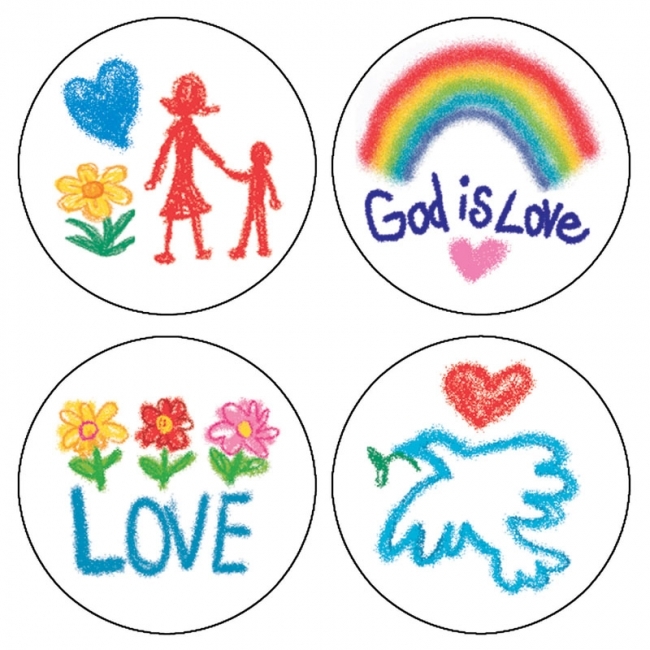 Available in a wide variety of colors and shapes, stickers are an essential addition to any teacher's desk! Perfect for reward or recognition, these acid-free and lignin-free Dazzle™ stickers come 84 per pack and are on perforated sheets for easy distribution! 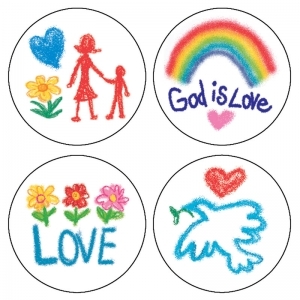 Available in a wide variety of colors and shapes, stickers are an essential addition to any teacher's desk! 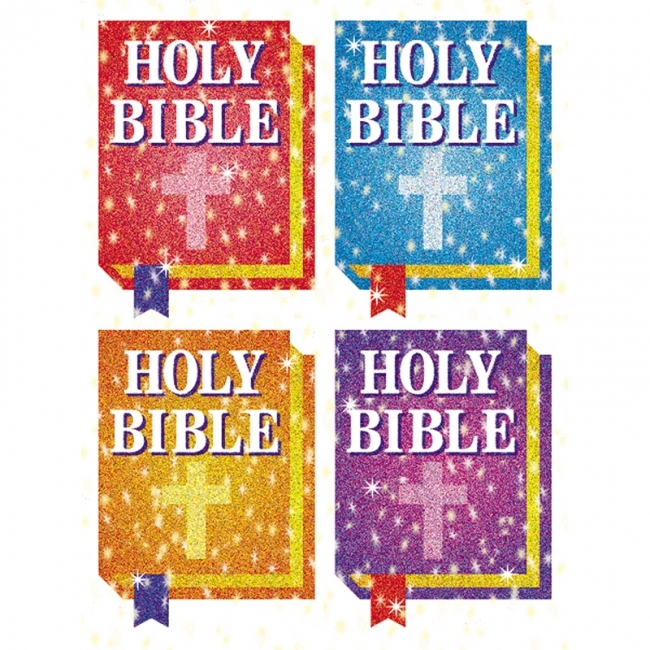 Perfect for reward or recognition, these acid-free and lignin-free Dazzle™ stickers come 96 per pack and are on perforated sheets for easy distribution! 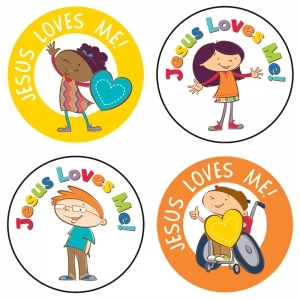 Available in a wide variety of colors and shapes, stickers are an essential addition to any teacher's desk! 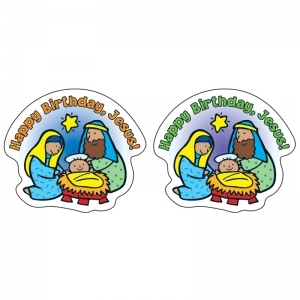 Perfect for reward or recognition, these acid-free and lignin-free Dazzle™ stickers come 120 per pack and are on perforated sheets for easy distribution! Stickers are an essential addition to any teacher's desk! 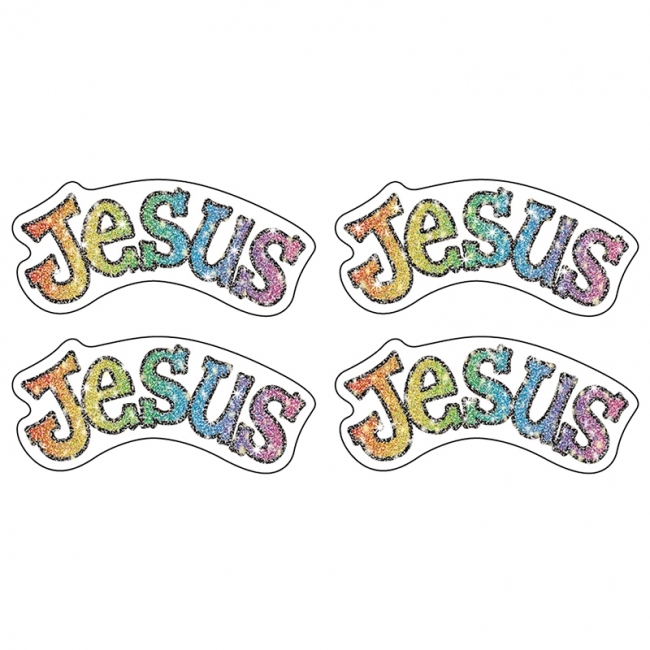 Perfect for reward or recognition, each pack of these acid-free and lignin-free stickers includes 72 stickers! 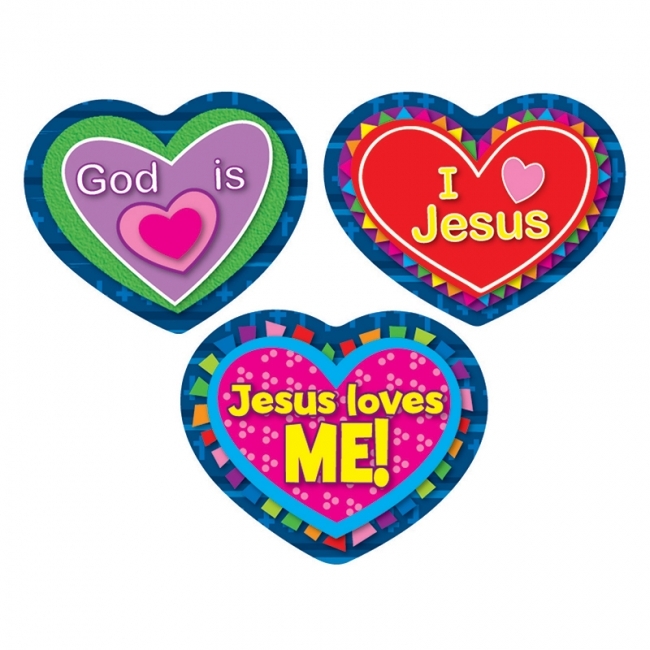 Available in a wide variety of colors and shapes, stickers are an essential addition to any teacher's desk! 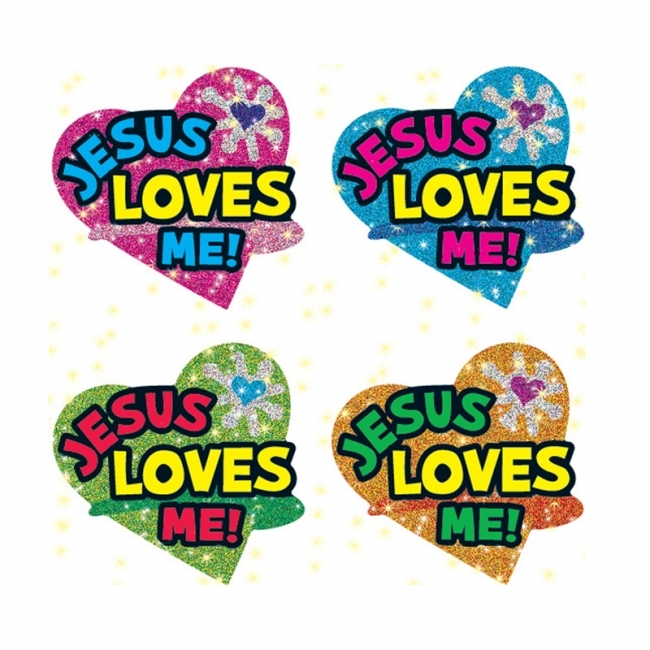 Perfect for reward or recognition, each pack of these acid-free and lignin-free stickers includes 120 stickers, measuring 1" x 1" each! 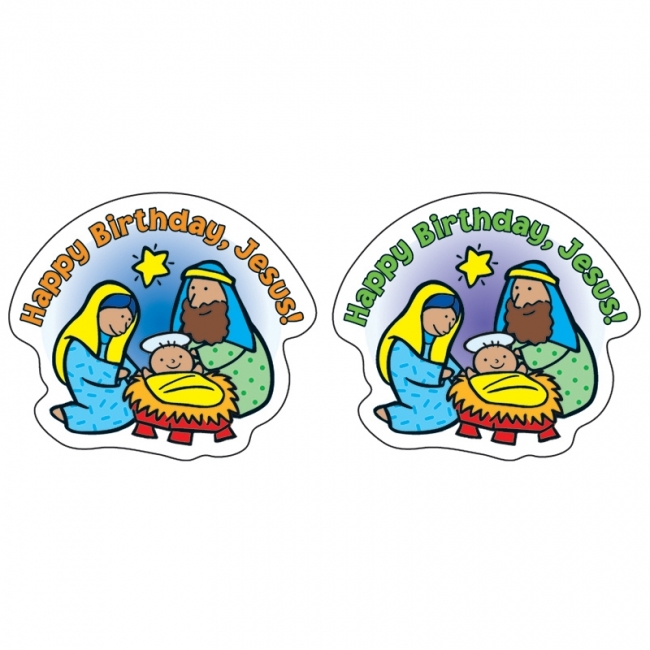 Available in a wide variety of colors and shapes, stickers are an essential addition to any teacher's desk! 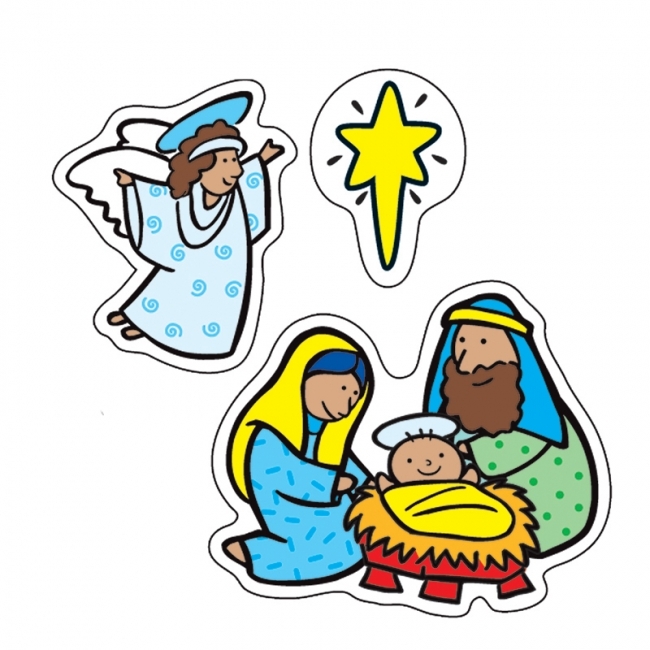 The Nativity Christian shape stickers are ideal for the Christmas season. In die-cut shapes, they are acid free and lignin free. 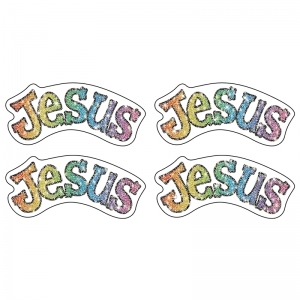 Each sticker is approximately 1 inch x 1 inch with a total of 186 stickers per pack. 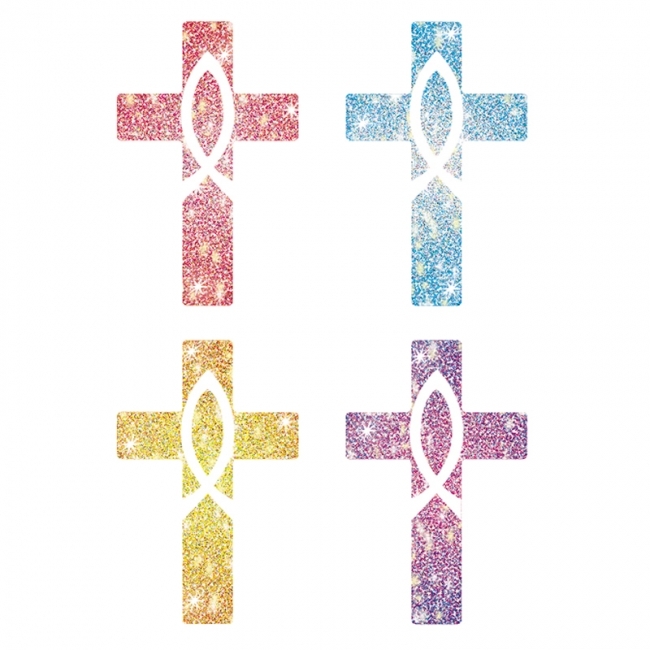 Small stickers that make a big statement of Christian faith. 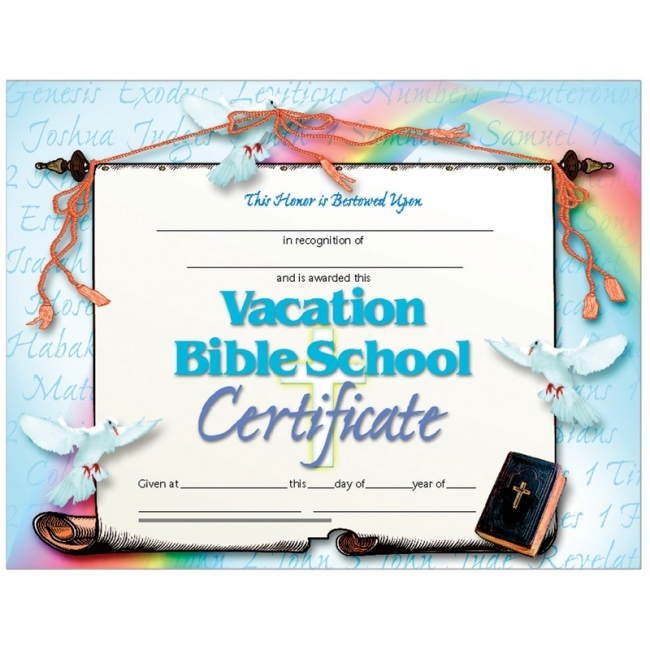 Add a decorative touch to scrapbooks, notes, and messages. Acid free, nontoxic, and safe for photos. 8 designs, 816 stickers, 0.375". 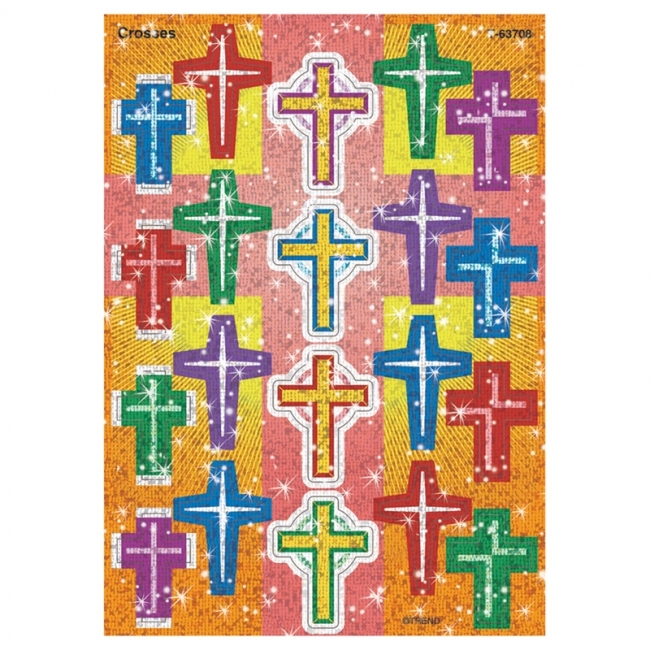 Brilliant shine illuminates these fun, uplifting Christian designs. 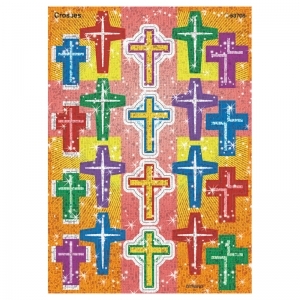 Use as rewards for good work in classrooms or after-school programs, or as inspiring gifts to brighten anyone's day. 30—40 pack.